For leadership insights, John Stephens talked with Chief Medlock in mid-December, 2015. He summarizes the lessons in leadership gained on assessing technology, communication about change, and public and private meetings at the end of this post. 1. Chief Harold Medlock, how did you make the decision for the Fayetteville Police Department (FPD) to implement BWCs? I am a huge believer in dash cam and digital video recorders. I think they reduce complaints against officers. Secondly, for my leadership team, they can also identify an officer’s approach which may benefit from feedback from his or her supervisor. My experience in helping write the policy in Charlotte-Mecklenburg, when I was a sergeant made me familiar with key choices on how cameras are used, when and how the videos are accessed, etc. BWCs are another step in being able to protect officers and have a key record of interactions with the public. These cameras, unlike the dash cams, “sees or hears what the officer sees or hears.” This technology can be another part of FPD’s steps to do more to instill public trust and confidence in our officers. Finally, cost has been a limiting factor: costs for acquiring and maintaining the cameras, plus data storage costs. Luckily, costs have started to come down, and we benefited from a federal grant program available to local law enforcement for purchasing BWCs. 2. How did you assess community perceptions and other factors related to BWCs? We began talking about them to the community, in 2013, at community watch meetings, business watch meetings, and at faith-based organization meetings. In December 2015, I held four meetings. Three were open, public meetings, and one was with faith leaders in Fayetteville. I’ve met with the faith leaders group in the past. I wanted a separate meeting with faith leaders – all denominations and races – to hear their candid views. They are, in many respects, the informal leaders and have become very trusted advisors to me. I think I have built trust slowly with them. We have worked on the relationship. We showed video clips from other jurisdictions demonstrating the use of BWCs – to show how they work and to be realistic about what is captured. I found the community meetings led to different views about how public the videos should be. For the faith leaders, I showed them an officer involved deadly use of force. The video caught everything, especially the actions leading up to the suspect pulling a gun. People at the community meetings raised some of the key questions about BWCs, or any video of police actions or investigations. The main question is this: What is and what is not appropriate to video? One speaker said: “You need to keep the camera going for all exchanges and make it all public.” Another resident said, “But what if someone has been raped? Do you want the police interview videotaped and public?” The first speaker could see this as a reasonable exception. This is one example of the power of the BWC, and the concern by people when they may be on camera. 3. Do you have advice for leaders making a decision that not everyone in the organization may want? I do not see any great resistance (direct or indirect) from officers. I think a lot of that comes from FPD officers coming through a rough time 2010-12. They felt pretty beat up. As the different models of BWCs were shown and assessed (2013-2015), officers realized that there is a trend for this technology. Even more so, there is a trend for more openness about police work. Greensboro and Charlotte-Mecklenburg have adopted BWCs. One communication tool I use is quarterly Chief’s briefings for all employees. It is a meeting with all sworn officers and other FPD staff. They can ask me anything. I have woven in BWC information and concerns across those briefings. This was one important way to talk about and show the value of dash cams and BWCs. The recordings often show that there is no basis for a complaint about officer conduct. 1. Assessing technology –Each jurisdiction will have to address the opportunities and risks of computer and communication technologies. Chief Medlock’s successful strategies include introducing the BWC well in advance of making the decision whether or how to adapt the technology, involving many people in assessing different models, and making himself regularly available to his officers to share information and address technical concerns. 2. Community Dialogue – The Chief used community meetings for mutual education and building trust. He encouraged the exchange of differing community viewpoints – both with him and with each other – which surfaced key questions to address about transparency and privacy. 3. 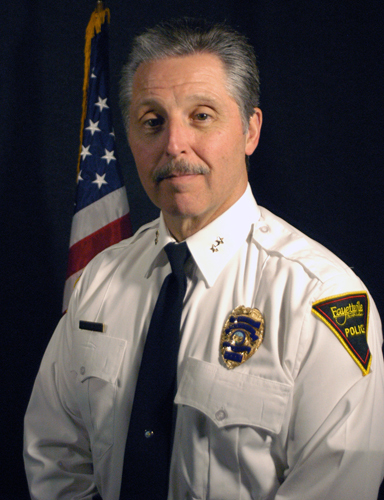 Public and private meetings – Chief Medlock used both to build trust with the community. He noted that faith leaders are key partners for many aspects of community safety, respect, and trust. Sometimes private meetings are appropriate. The meetings, however, were not secret. The Chief shared information about holding the meetings and who participated.